Busy world…time is everything, so why spend your time fussing with dry cleaning? At Benjamin’s we know how to clean (our environmentally eco-friendly Green is a safe cleaning process) and press your important garments to keep you looking your best. At Benjamin’s in Pompano Beach our dry cleaning service makes it easy for you to look sharp and our pick-up and delivery service makes it easy for you to spend your time doing something that pleases you more than trips to the dry cleaners. Image is important to you and we know it. 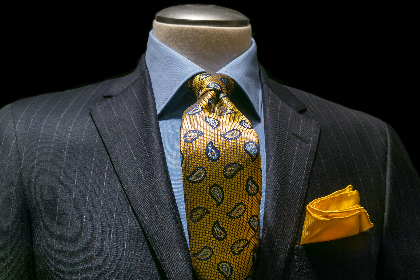 Your dresses will be cleaned and pressed to perfection and your suits and ties will be done with an eye to every detail…you will have the immaculate look you need in your profession. You can choose casual wear that isn’t limited to the washer when you know we will take care of your special fabrics. Many styles of ladies shorts and shorts for men are a wonderful blend of fibers that requires dry cleaning. Trousers and blazers are the perfect attire of today’s parties at the club. Trust our services to keep you in style on the golf course or at the races. No matter where you go, let Benjamin’s provide the crisp look of your style. If you are concerned about going Green, Benjamin’s is the dry cleaning service to use. Time is valuable and when you depend upon us to get your suit, dress, slacks or silk blouse ready for your next event or appointment, you are making a wise decision. Nobody does it better than us and we want you to give us a call so we can begin your pick-up service. Spend that extra time with a good book! Let us pamper you and deliver your items to you! Benjamin’s is the dry cleaning service in Pompano Beach. Garment Preservation – Preserve your special garments, such as wedding gowns and occasional formal wear, with our expert preservation services.